The difference between traveling and vacationing is who returns. After a vacation I return recharged and refreshed but ultimately the same person who left. A traveler, on the other hand, lets the experience wash over and change them. Coming home after trip like ours can be one of the most intense experiences of the entire journey. Suddenly we're somewhere that I know should be familiar but it's changed because there is a different person seeing it. For example, the Albany I left was nothing special. It was just the city I grew up in. But last weekend I wandered downtown with a friend to catch the St. Patrick’s Day parade and snapped pictures of the amazing architecture until my camera’s battery died. The city felt both familiar and foreign but it was also familiar to something foreign which blew my mind. 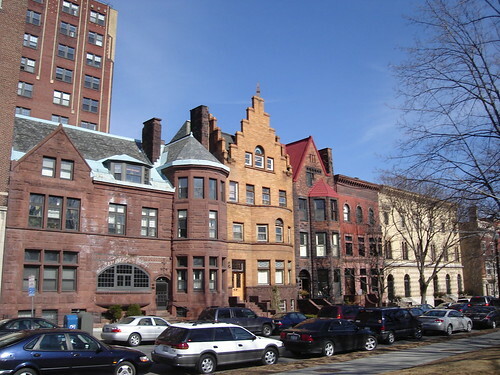 Downtown Albany has many brownstone buildings; tall narrow buildings clustered so close to that they can lean on one another. The architects had to show their creativity with only the facades, the windows, roof gables, and other architectural details on the narrow wall facing the street. That makes it look like another cool city I have visited in my travels, Amsterdam. 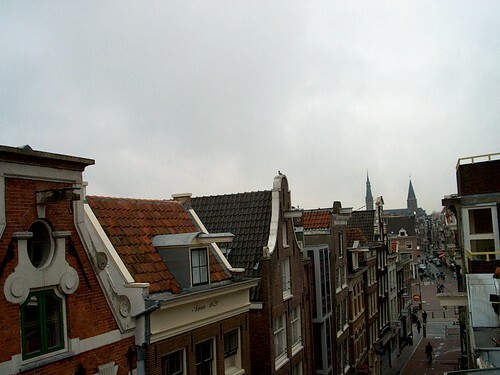 In the Middle Ages the city of Amsterdam charged property tax not based on the size of home, nor the plot of land, but it's frontage to the street. So, the narrower the house is the less they needed to pay. When the architects were limited by width they went to great lengths to make the facades, windows, and the roof gables distinctive. Coincidence? Not really. A little detail from the dusty recesses of my memory floats up. In a middle school I learned that that the Dutch colonized much of New York, and founded Albany, long before they gave it to the English. They established some cultural traditions, like our annual Tulip festival, as well as built buildings. They created places like they knew, like home, like Amsterdam. And even after the English took over the next generation designed buildings to fit the already existing feel of Albany. In other words, Dutch. A highlight of traveling in Latin America was the countless colonial cities we visited. Throughout the trip I wondered what it must be like to grow up in a place influenced so much by an ancient European power. It wasn't until I got home that I realized that my hometown, and a house I lived in, was shaped by a Dutch tax code from the Middle Ages..